I contracted WSS quite some time ago. I'm afraid it is a rather serious affliction...a chronic disease, in fact and I have a baaaad case of it. I'm not sure when I first became aware that I was exhibiting symptoms of WSS...was it while watching Mr. Darcy during Pride and Prejudice? 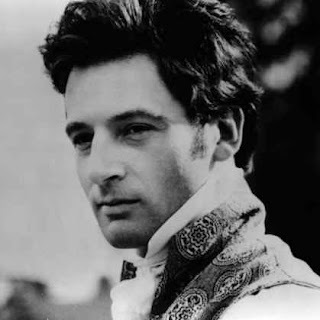 Perhaps my case started from watching Colonel Brandon in Sense and Sensibility? Was it because of Mr. Knightley in Emma? Or was it long before that and this...ahem, illness had been incubating for a long time? I really can't remember but I do know that the symptoms seem to get more pronounced as I get older. Recently I realized that I really do have a severe and chronic case of WSS...and I don't believe that there is anything I can do to heal it. (Poor me!) 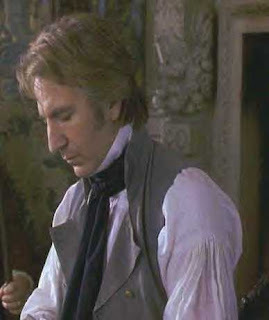 There I was, innocently watching Persuasion when I realized that the symptoms were coming on quite strongly. Indeed each time Captain Wentworth was on screen I had heart palpitations, weak knees, felt somewhat feverish and experienced strange fluttering feelings in my stomach and a rather drooly mouth. What's a woman to do when suffering from such a malady? Well, I find that I am able to bear this suffering quite easily now. But...I do recommend a rather simple homeopathic treatment if you feel you too suffer from WSS. As we know like heals like in homeopathy so I suggest regular small doses of white shirts (weekly!! and preferably with a group of good friends and fellow WSS sufferers), that way you will develop a good tolerance to them and not be unduly affected. My goal is to able to view a white shirt each week without being overcome by any WS symptoms - a lofty goal indeed. I don't believe that I've seen Rupert Penry-Jones (Wentworth) in any films before but I must say the man can certainly wear a white shirt well...and he does a rather nice "smouldering look" too. When do you plan to start your treatment program? Have you chosen the flick that will be your "first dose"? I know this syndrome well. My mom has had it for most of her life and I seemed to have inherited a bad case of it as well. I think we should form a support group. Yes, I feel bad about passing this gene on, but WSS is hereditary. WSS sufferers must see "When did you last see your father". It's required therapy! Heather and fellow WSS sufferers - I think the best thing to do is to rent Momma Mia and watch it until we can get past the white shirts without feeling overwhelmed. It is a tougher form of therapy but will hopefully have the desired results. I think being able to pause and rewind certain white shirts scenes is important and necessary for treatment.